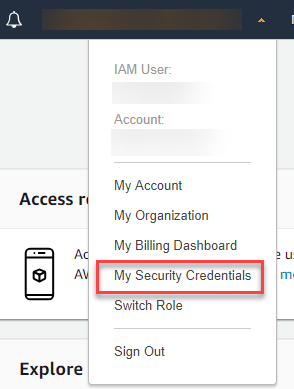 Sometimes you may need to connect to AWS environments with MFA enforced using AWS CLI. If you don´t authenticate with MFA, you got high probabilities to obtain a denied access. With this process, you will be able to authenticate with MFA over CLI. And once in, scroll down to “Assigned MFA Device”. You will find your MFA Serial. Get a code from your authenticator and replace with it code-from-token. After that, you will be able to execute commands on AWS CLI with access granted. This session will typically expire after 12 hours. Anyway, a good idea it´s remove the parameters once finished.